'There is no ugly woman in this world but lazy woman.' I'm totally agree with this statement because I use to believe that woman needs to work hard on ourselves to gain the beauty. So, here I come to have my facial treatment. 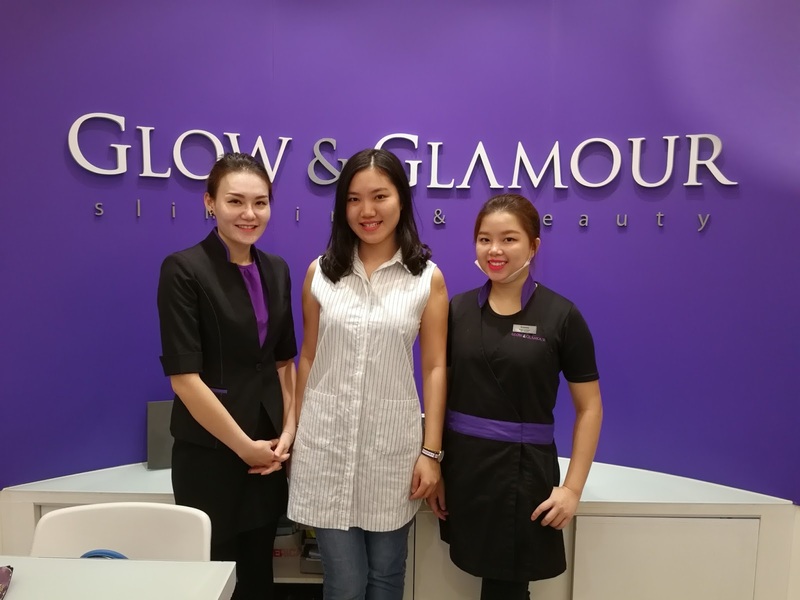 I choose to visit Glow & Glamour which is located at Amcorp Mall. I'm visiting together with my buddy, Elana. Once we arrive, we are then entered into the consultation room. We are served with drinks too. Then, a beauty consultant starts to explain the treatment which we are going to have later on. She introduces us the Cleartonic Face Treatment. Cleartonic is the new generation of microdermabrasion or what is being called Soft Peeling. There is little to no redness or downtime with this treatment. This unit offers ablation or retest urging results with the safe and gentle use of ultrasound vibration of up to 28,000 cycles per second. What are the benefits of Cleartonic Face Treatment? 💟 Deep cleanses the skin and inside the pores. 💟 Remove fine lines, reduces appearance of wrinkles. 💟 Remove wrinkles around eyes. 💟 Increase elastin and collagen production. 💟 Speed up product penetration into the skin. 💟 Remove acne scar, ,I I,I've pores. I have been escorted to a room to change my clothes and to lay onto the bed to wait for treatment. The room is very comfortable with cold air-conditional. There is a jacuzzi in the room but I'm not going to use it today. First, a female staff starts with cleansing my face. Soft peeling process is then applied after my face has been cleaned up thoroughly. It is important to tell them that if you have done any fCe treatment recently or not. This is because to prevent your face skin to get hurt in deep. So I have told them that I have been doing laser treatment two days ago. The staff is so nice that she explain to me in detail when she looks into my skin. And, she indicates that my face skin is very thin now due to after he laser treatment, so they would need to lighten the peeling process to prevent my face skin from getting hurt later. 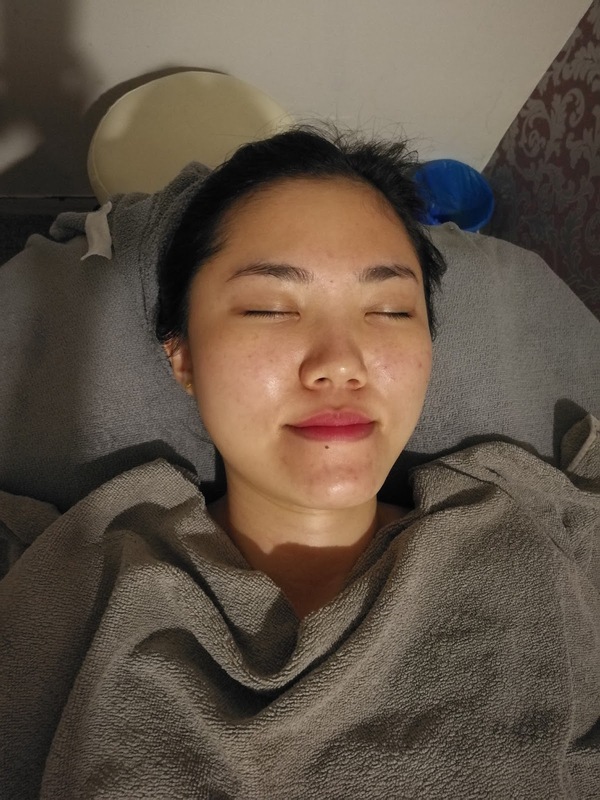 During the treatment, I'm having a great talk with the staff, she shares a lot of beauty tips to me on how to taking care of my skin in my daily routine. After cleansing, steaming my face is in progress before peeling. Next, the staff starts to peel my face skin by using the peeling device. I have been told that redness would occur on my face during and after the peeling. As you can see from the image below, there are redness on my face as well. After the peeling process, she shows me a bowl of dirt water which is coming from my face skin. This is crazy that I never thought that my face has so much dirt. At the final step, she applies a crystal collagen mask to cool my face down. It has the benefits of enhancement of elasticity, lifting & firming effect and glow & radiant. Overall, the treatment works well on me as I can really feel the change on my face from before and after. My face looks brighter and shiny on the photo now compared to before. For you information, I'm not wearing any makeup on my face from the image above with two pretty beauty consultants. Address: Amcorp Mall, Level 3-01, 3rd floor, Jalan Persiaran Barat, Off Jln Timur, 46050 Petaling Jaya, Selangor.